Rene Lalique is fondly remembered for his glasswares including vases, sculptures, tableware, perfume bottles, clocks, chandeliers, etc. but also for his jewelry which was traditionally primarily done in the Art Nouveau style. His name still flourishes in fact with the continuation of the Lalique business which is uber successful. His legacy is impenetrable. Lalique was immensely talented from a young age and his creative genius was sought after his entire professional life. Early on he had a jewelry apprenticeship under Louis Aucoc, while he studied art at the Ecole des Arts Decoratifs in Paris. He also worked under the tutellage of the sculptor Lequien which is also around the time that he started to create his own original designs and pitched them to the already notorious Boucheron, Cartier, and Jacta. Finally, he took over the studio of Jules Destape and his business really started to flourish. He then opened a shop in the Opera District in Paris and later in the Place Vendome. He was awarded many prestigious titles and honors during his lifetime and was contacted by businesses such as Coty to design perfume bottles for them. Toward the end of his lifetime, he solely focused on glassware and abandoned jewelry design altogether. Lalique was noted for his work in both the Art Nouveau and Art Deco periods as he achieved perfection in both seamlessly. He achieved a great deal of commercial success during his reign and still represents French luxury to this day. His works incorporated enamel, gold, and translucent glass. There is an ethereal quality to the glasswares, as well as a sense of nature and the beauty of woman. Many of the older pieces have quite a significant monetary value attached to them and are museum pieces essentially. 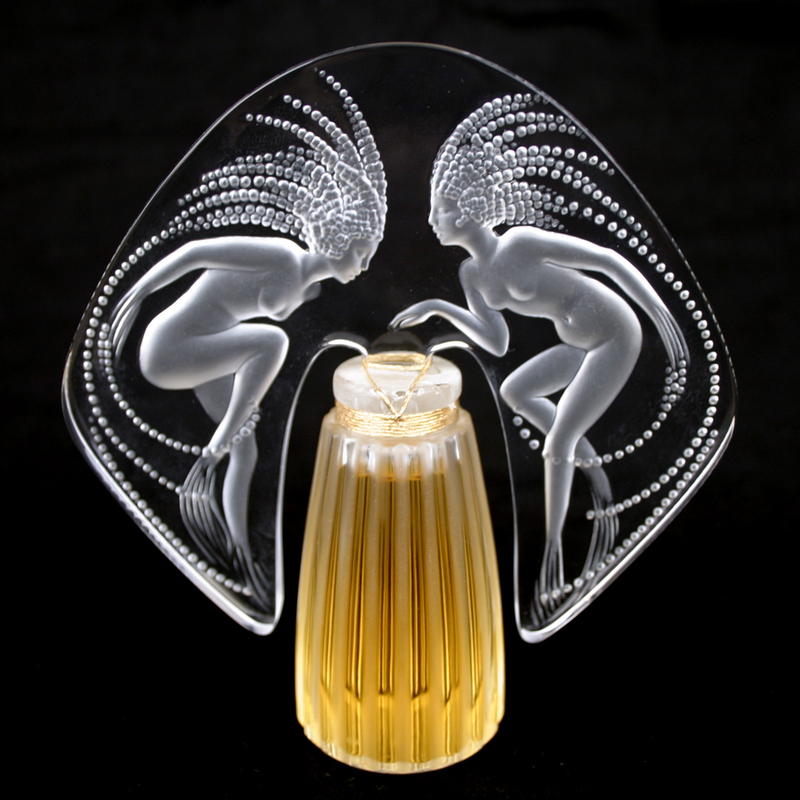 Lalique left behind a tradition of skilled craftsmanship and magnificent beauty. The type of beauty that doesn’t exist on this earth, but in the visions of an afterlife.